POC People On Caffeine and CaffeCouture (pictures of CaffeCouture in this earlier post) – coffee bars in Vienna - have been nominated in the category for "Best Independent Coffee Shop Europe 2013" by the European Coffee Awards. According to the European Coffee Awards this year the awards especially recognise and promote company and individual excellence across the sector. POC definitely fits well in the category in terms of individuality. 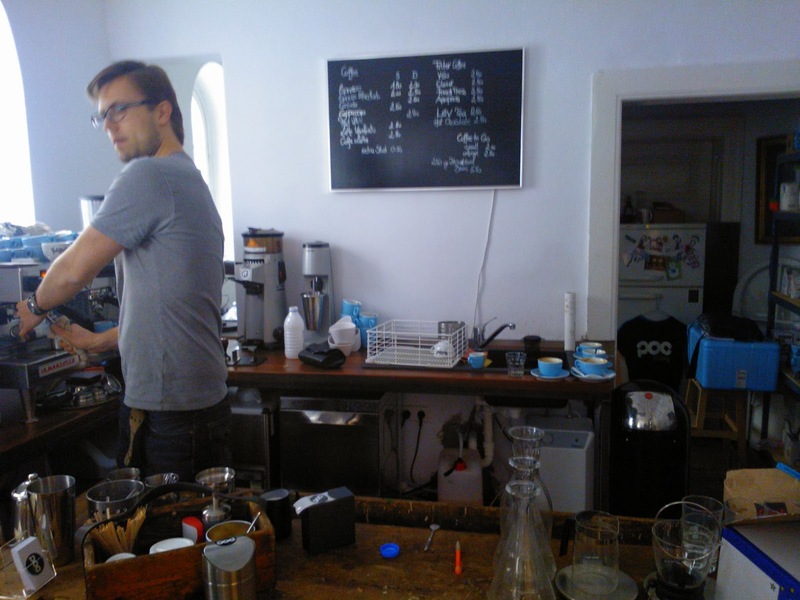 POC is a third wave coffee bar and represents the young independent trendy coffee culture in Vienna. On my resent trip to Vienna I had a chance get a cup of POC caffeine. My dose – a cappuccino – looked in the cup so good that I would have not wanted to break the art on top. Taste of coffee is naturally the most important thing and this cup was of top quality. POC coffee bar is actually located in a corner basement of a church. The place itself is small and their bar design is very rough and unconvential compared to traditional cafes. If you wish to sit down to enjoy the coffee there are only a few chairs available. The location is close to the University of Vienna and I guess their customers are mostly young adults taking their coffee on their way to school. The place is a must for coffee geeks but if you are looking for traditional Viennese coffee houses, this is not the place. 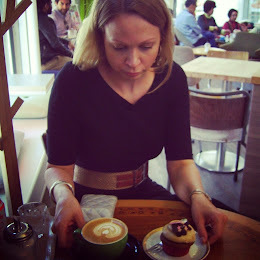 I will publish a review of in my opinion the best traditional coffee houses in Vienna here later. The coffee bar is almost hidden in this quiet street corner.